The things you say have a big impact on your children. If you want them to feel positive about going to the dentist, you have to talk positively about going to the dentist. While you do not want to give away too much information about what happens at the dentist, you should make an effort to talk about the dental visit positively. Explain to your children how Dr. Spalitto can help them keep their teeth healthy and their smiles attractive. Your actions also play heavily on your children and their opinions. If you want your kids to care about their oral health, you have to do the same. Make brushing and flossing a family activity so your kids get excited about taking care of their teeth and gums. You should also visit the dentist regularly to show the children that they have nothing to worry about when it comes to maintaining a healthy smile. 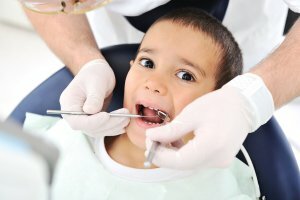 You can get your children excited about going to the dentist by offering them an incentive for every good report care they get from Dr. Spalitto. Whether you have a sticker book that you add to or bring the kids to the store for a new toy, these incentives help you encourage your children to focus on their oral care. If he finds a cavity during a visit he’ll make sure to use laser dentistry to treat it so no drill no pain for your child! If you feel like your children are a little apprehensive about going to the dentist, you might want to set up a consultation with Dr. Spalitto. When they see how nice and welcoming the dentist is, it will make them feel much better about their own visit. When Dr. Spalitto uses laser dentistry, he does not need to use anesthesia to prepare the patient for the procedure. Without the need for anesthesia, patients can drive themselves to and from their visits. They also do not have to take any extra time off of work to get the treatment that they need. A lot of people feel apprehensive about getting dental treatments because they do not like the sight or the smell of blood. By using laser dentistry, Dr. Spalitto can significantly minimize the amount of blood that dental procedures cause. In fact, the Solea laser causes almost no bleeding. Since laser dentistry does not make a large incision, patients heal much faster than they did with traditional dental procedures. The procedures take much less time to perform and you can get back to feeling like yourself very shortly after the treatment is complete. If you need dental work but you do not want to wait through lengthy procedures or healing times, you should talk to Dr. Spalitto about laser dentistry and how it can help you. When using laser dentistry, Dr. Spalitto can have even more precision during treatments than ever before. This means that patients can enjoy better results that get them much closer to enjoying optimal oral health. Dr. Spalitto can use laser dentistry to reshape soft tissue, remove tumors, and do biopsies on tissues. Schedule an appointment with Dr. Spalitto to learn more about laser dentistry and how it can help you improve the look and feel of your smile. If you opt for IV sedation, you will get a sedative injected directly into the vein to help you relax during your visit. 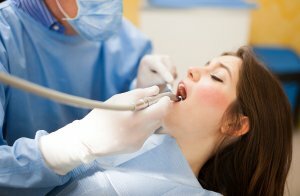 The sedative does not keep you from communicating, but it does help you feel calm enough to get the procedures that will help you maintain your oral health. The sedation helps you forget what happens during the visit. 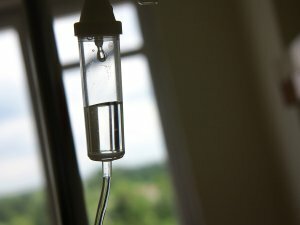 If you want to get IV sedation during your next visit, you should set up a consultation with Dr. Spalitto so you can talk about what to expect from the procedure. If dental fear or anxiety is keeping you from getting important dental treatments, IV sedation can help. Regular dental exams are essential for preventing issues like tooth decay and periodontal disease. Dr. Spalitto and the team also thoroughly clean the mouth to get rid of plaque and tarter before they can lead to major issues in the mouth. The dentist will also examine your teeth and your gums to make sure there are no signs of any problems. You will also get dental X-rays when you visit the dentist so Dr. Spalitto can take a closer look to see if there are any major problems in the mouth. With preventative tools like dental sealants and fluoride, our team is here to help you keep your teeth and gums as healthy as possible so you can always maintain a bright, beautiful smile.